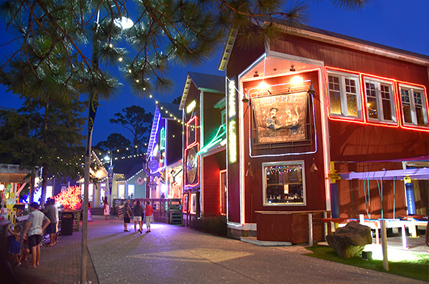 The resort community of Sandestin is designed to be a completely inclusive destination—once inside, everything needed or wanted is within a short golf cart ride from a grocery store to a movie theatre to fine dining at its best. The resort features properties both north and south of Highway 98 offering a wide range of housing options including gulf front condominiums, golf villas and waterfront mansions. Sandestin offers championship golf courses, a 113-slip marina, a fitness center, tennis courts, swimming pools and town centers with shops and restaurants. The popular Baytowne Marina hosts annual events and children’s activities attracting locals and visitors year round.